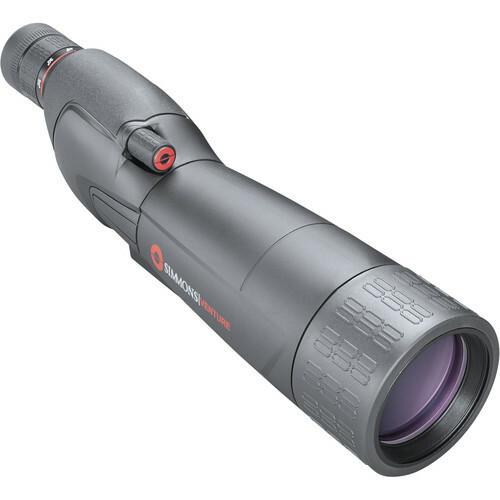 The Simmons 20-60x60 Venture Spotting Scope is a powerful observation tool optimized for long-range use. The powerful zoom allows you to scan across broad areas to find your subject at 20x magnification, then dial up the power to maximum and reveal fine details. Its large objective and anti-reflection coatings draw in the light required to ensure views remain bright even when observing at extreme long ranges at high magnifications. The body style is optimized for fast target acquisition and tracking with its eyepiece set in-line with the main part of the body. The Venture is supplied with a tabletop tripod with an integrated window mount that allows you to put it just about anywhere and start observing. Box Dimensions (LxWxH) 16.0 x 7.0 x 6.0"